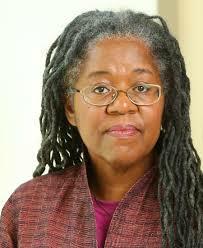 Sylvia D. Hamilton is a filmmaker, writer and poet, born in Beechville, Nova Scotia. Hamilton spent her early years in Beechville, a community founded by the Black Refugees of the War of 1812. She began her education in the local segregated school, and later attended an integrated high school; Hamilton was the first high school graduate from the Black community of Beechville, and went on to earn a BA from Acadia University and an MA from Dalhousie University. She currently teaches Journalism at the University of King’s College. Throughout her life, Hamilton has worked in a variety of capacities, particularly within the media industries, as a radio journalist, a freelance broadcaster, and for cable television. Her journalistic expertise has since loaned itself to her career as a filmmaker and artist, as much of her work has to do with exploring the lives of people of African descent and sharing their experiences. Hamilton interweaves themes of history and memory in her work, striving to give voice to the struggle of African Canadians by presenting accounts of slavery, racism, segregation and oppression. In 1989, Hamilton’s first film, Black Mother Black Daughter was released, and her second film, Speak It! From the Heart of Black Nova Scotia, won a Gemini Award in 1994. Since then, Hamilton has won numerous other awards for her internationally acclaimed works, including the Portia White Prize, the CBC Television Pioneer Award, and the Queen’s Diamond Jubilee Medal. In 2014, she published her first collection of poetry, And I Alone Escaped to Tell You, which examines the atrocities faced by early Black Nova Scotians. Notably, Hamilton has made it her life’s work to provide an honest historiography for African Canadians through filmmaking, visual arts, and published poetry. The sons of darkness stole our children’s tomorrow. Critical Analysis: Horror and Theft of the Future in Sylvia D. Hamilton's "The Passage"
Sylvia D. Hamilton’s poem “The Passage” uses human emotion to contextualize the historical enslavement of African peoples terrorized by the relentless ideology of white supremacy. Representative of her work as an artist, this piece evokes empathy amongst its readership, providing an education that motivates atonement. “The Passage” captures the sorrow of people uprooted from their homeland, dehumanized, and commodified. Signifying that the speaker too is of African descent, Hamilton emphasizes what “We” had prior to being enslaved: names, love, joy, and religion. Like the present, the past is taken away, as African peoples become placed within Western historiography; enslavement erased their histories, stole their cultures, and redefined them through oppression. In the lines immediately following, the speaker powerfully grasps the readership’s attention by stating “We did not know the future/would not be ours” (6-7). Hamilton emphasizes the struggle of the ultimate violence: theft of the future. In noting displacement from past, present, and future, the speaker focuses on resistance rather than enslavement: “We fought, and we fought” (6-7). This description of African efforts to maintain freedom speaks to Hamilton’s ability to present a profoundly complex subject in uncomplicated language; though understated and simple, Hamilton’s diction is on point and powerfully concise. This stanza speaks of those “behind us” in two ways: the resisters thrown overboard, and also the descendants of the abducted (19). When captives go “crazy with pain” and sink “into the dank water,” readers are given an explicit image of the captives being left behind but living for what they know is right (14-15). The second horror is from the scars of historical cruelties remaining a constant reminder to African Canadians of the oppression and pain, and are accompanied by the sickening reality that mere generations ago it could have been them who were brutalized and sold as capital. Western Civilization trapped human beings, torturing them physically and mentally – there is no escape from this agonizing truth. Closing on the powerful line “The sons of darkness stole our children’s tomorrow,” Hamilton subverts predominant conflations of skin colour and identity (21). It is not the Africans forced into slavery and stripped of human dignity who are identified as “the sons of darkness;” rather, it is the white who are truly dark to the core, as they supplied, demanded, and benefitted from the enslavement of Africans. In a Western society that all too often ‘whitewashes’ uncomfortable truths, “The Passage” makes clear that futures were stolen and though the past cannot be changed, it needs to be acknowledged. Hamilton, Sylvia D. And I Alone Escaped to Tell You. Kentville: Gaspereau Press, 2014. Print. Hamilton, Sylvia D, Claire Prieto, and Shelagh Mackenzie. Black Mother, Black Daughter. Halifax: National Film Board of Canada, Atlantic Studio, 1989. Film. Hamilton, Sylvia D. "Chocolate, Mars Bars and Other Euphemisms." Dalhousie Review. 77.2 (1997). Print. ---. "Carolyn." Dalhousie Review. 77.2 (1997). Print. ---. "Film As a Medium to Reveal Research About Black Women's Lives." Atlantis. 20.1 (1995): 163-67. Print. ---. "Four Poems." West Coast Line. 40.1 (2006): 83. Print. ---. And I Alone Escaped to Tell You. Kentville: Gaspereau Press, 2014. Print. ---. "Labrador Child." Dalhousie Review. 77.2 (1997). Print. ---, and Aderonke Akande. Little Black School House. Grand Pre: Maroon Films Inc, 2007. Film. ---. "Our Mothers Grand and Great: Black Women of Nova Scotia." Canadian Woman Studies. 11.3 (1991): 45-48. Print. ---. "Next Witness." Dalhousie Review. 92 (2012). Print. ---. Portia White: Think on Me. Grand Pre: Maroon Films Inc, 2000. Film. ---, Mike Mahoney, and Shingai Nyajeka. Speak It! : From the Heart of Black Nova Scotia. Halifax, N.S. : National Film Board of Canada, Atlantic Centre, 1992. Film. ---, and John Burchall. Speak It! from the Heart of Black Nova Scotia: A User's Guide. Halifax: Black Educators Association of Nova Scotia, 1995. Print. ---. "When and Where I Enter: History, Film, and Memory." Acadiensis. 41.2 (2012): 3. Print. Beckford, Sharon. "‘We're Here, Standing at the Shoreline’: Sylvia Hamilton's Intervention in the Nova Scotian Discourse on Belonging and Multicultural Citizenship." Canadian Woman Studies. 27 (2009): 114-20. Print. Howard, Brianne, and Sarah E. K. Smith. "‘The Little Black School House’: Revealing the Histories of Canada's Segregated Schools— a Conversation with Sylvia Hamilton." Canadian Review of American Studies. 41.1 (2011): 63-73. Print. Melnyk, George, and Brenda Austin-Smith. The Gendered Screen: Canadian Women Filmmakers. Waterloo: Wilfrid Laurier University Press, 2010. Print. Notar, Clea. "Events - Black Mother, Black Daughter Directed by Sylvia Hamilton." Cinema Canada. (1989): 8. Print. White, Evelyn C. "And I Alone Escaped to Tell You." Rev. of And I Alone Escaped to Tell You, by Sylvia Hamilton. Herizons. 29.2 (2015): 35. Print.